In summer I’m all about the beverages. While I usually drink plain water or unsweetened iced tea sometimes I like to drink something a little more exciting. 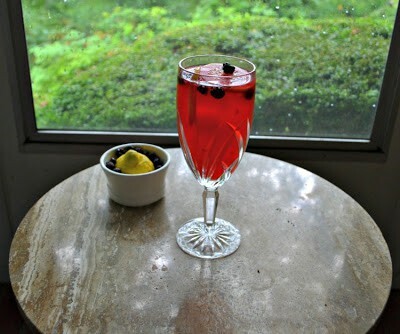 My husband is a big fan of spritzers so I often make a spritzer of bubbly water with a fruity, sweetened syrup. I’ve also been making an iced tea and bubbly water spritzer mixed with homemade syrup. One of my favorite and most versatile syrups is my honey lemon syrup. 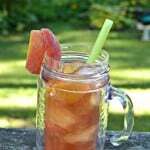 I make this one year round because while it’s delicious in bubbly water and iced tea it’s also really good in a cup of hot tea. But in the summer I like to use whatever fresh fruit I can find at the farmer’s market along with fresh herbs from my garden. It makes me feel good to use things that are in season or that I can get from the garden. Last week I bought some cherries at the farmer’s market. I wanted to make a delicious syrup with the sweet cherries but I thought it would be good with some fresh lemon juice to add some tartness. Then I went out in my garden to search for herbs. I was debating between rosemary and mint and finally went with the refreshing mint. I boiling the cherries, mint leaves, and water along with sugar in a saucepan. After it had cooled I added in the lemon juice. I placed the syrup in a mason jar and refrigerated it until I was ready to use it. I’ve used this syrup in two different ways. 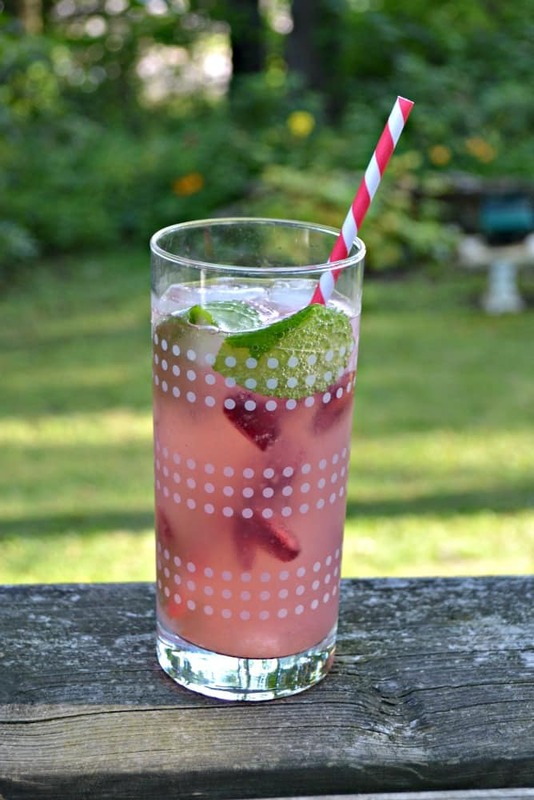 The first is to put it in a glass of ice along with sparkling water for a refreshing Cherry Lemonade Spritzer. I like how there is a sweetness from the cherry syrup but a tartness from the lemon juice and it’s all bubbly. It’s a refreshing summer beverage. I’ve also put the syrup in a mixture of half iced tea and half sparkling water for a Cherry Lemonade Iced Tea Spritzer which is also very good but not as sweet as the regular spritzer. Either way you make it, these Cherry Lemonade Spritzers are refreshing, flavorful, and perfect for sipping on in the sun all summer long. 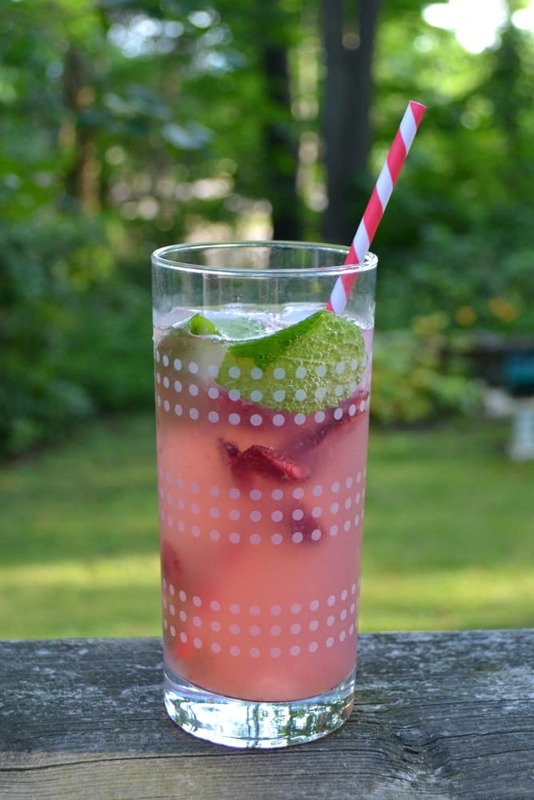 Sit back and relax with this refreshing Cherry Lemonade Spritzer made with fresh cherries, lemon juice, mint leaves, and sparkling water. In a medium saucepan combine the cherries, sugar, 1½ cups of water, mint leaves, and ginger. 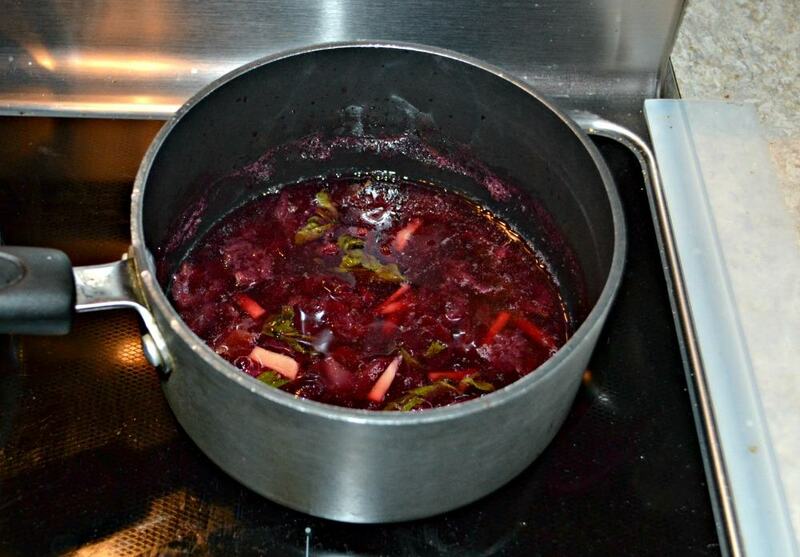 Bring the mixture to a boil and simmer for 10 minutes. Mash the cherries with a potato masher to help release the juices. Remove from heat and let sit 20 minutes. Strain the syrup through a fine mesh sieve into a bowl. Add in one cup of water and the lemon juice. Mix well. 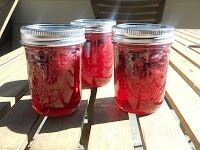 Pour the mixture into a pint sized mason jar and refrigerate until ready to use. 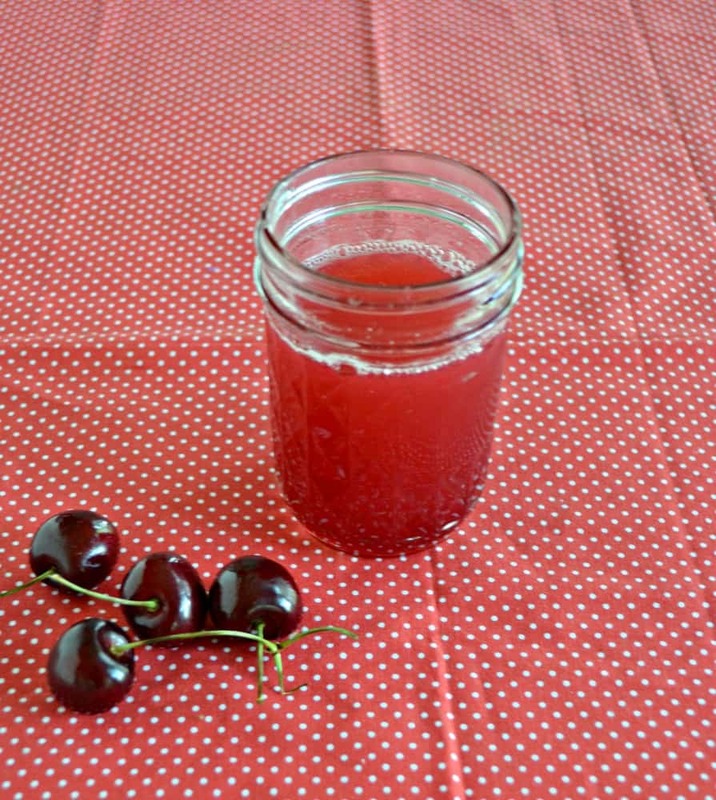 When ready to use combine ice, 1 cup of sparkling water, and 3-4 tablespoons of the cherry syrup in a glass. 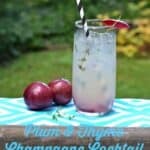 Garnish with mint leaves and cherries. This looks so refreshing. I would never think to put ginger in this type of drink. Thanks for the tip.